You can call the Bishop Grosseteste University team on +44 (0) 1522 527347. The Bishop Grosseteste University is one of the two universities in Lincoln. The BGU was awarded a TEF gold award as they deliver outstanding learning and outcomes for their students with a 97% employability score, more than 97% of their students who graduate go on to further education or a job within the first 6 months of graduation. The BGU has been educating in Lincoln since 1862, it originates from the Lincoln Diocesan Training School for Mistresses. Over the many years, it has existed the BGU has undergone many name changes including Lincoln Diocesan Training College, Bishop Grosseteste College until it finally was renamed Bishop Grosseteste University. It was awarded college status in 2006 and in 2013 it reached University status and was then renamed BGU. 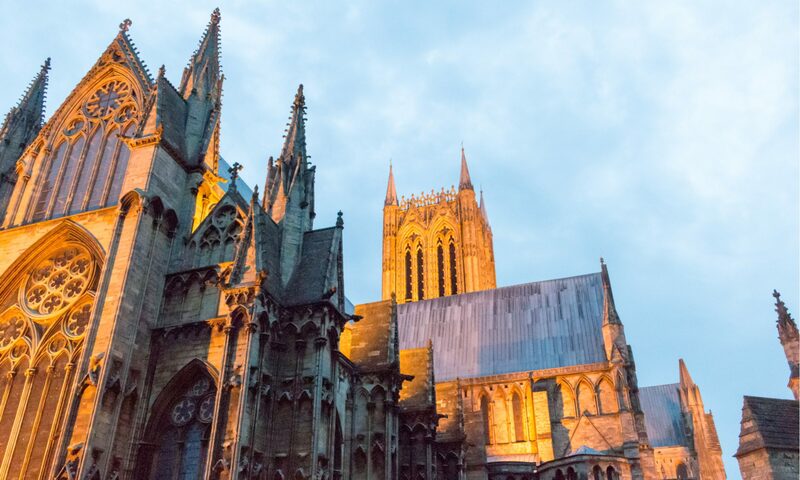 BGU has a large campus with multiple building just a walk away from the Lincoln Castle and Cathedral. The Bishop Grosseteste University campus offers a sports and fitness centre, food and drink facilities, a cinema (The Venue), Curiositea is on site, a library with a range of study facilities and resources, a bar on site, a learning development centre, a bed and breakfast on site for friends and families of students to stay in whilst visiting, a student union and conference rooms. You can view all of the facilities on the campus by visiting the BGU website. BGU offers a range of degree types including foundation degrees, undergrad degrees, progression routes, postgrad training, masters courses and doctoral study. They offer courses in a large range of subjects at multiple different course levels including subjects such as drama, education studies, professional studies, health and social care supervision and geography. BGU uses UCAS points and all of their course can be viewed on the BGU and UCAS website. You can contact the Bishop Grosseteste University for a number of reasons whether you are thinking of applying for a course and you would like to know more or you are the parent of a student and want to know more about an aspect of the university. You can also get in touch with the university phone number if you are a student and there has been a problem with your accommodation, a student loan payment or a part of your course or classes. To get in touch with a member of the BGU team via phone call just dial +44 (0) 1522 527347. If you would prefer not to call the university you can also send an enquiry or a problem to the enquiries team on enquiries@bishopg.ac.uk you can inquire about any worries or questions you have about the university and its courses. If you are a student make sure you include any relevant information about you or your course that will help the team identify you. You can also get in touch with the BGU support teams via the university’s social media accounts, they have a facebook page, a twitter profile, Instagram account, a youtube account and a LinkedIn page.